Meet Maya And Riley In All New Trailer For Disney’s ‘Girl Meets World’ – Watch Now! Time is ticking and we are slowly but surely approaching the premiere date of Disney Channel’s new sitcom Girl Meets World. With a release date of June 27, 2014, we were only able to see a couple of teasers and trailers for the upcoming series. Luckily, Disney Channel released yet another sneak peek at the series by introducing us to two of the main characters – Riley Matthews (Rowan Blanchard) and Maya Hart (Sabrina Carpenter). In the show, these two girls are the best of friends. Get to know the two of them a little more by watching the video below and let us know what you think by commenting! Be sure to also tune to Girl Meets World on Friday, June 27 right after the premiere of Zapped! 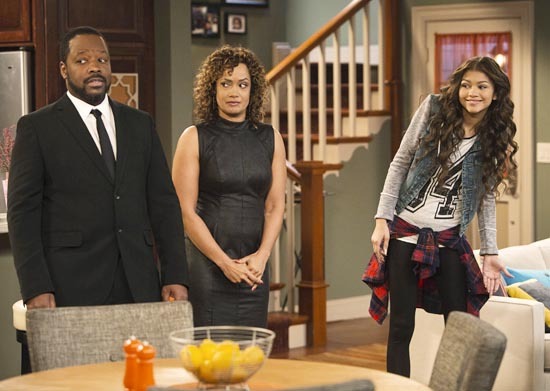 Zendaya Coleman To Star In New Disney Channel Sitcom – Congrats Z! Shake It Up! star Zendaya Coleman is set to star in a new Disney Channel sitcom coming soon! Zendaya will lead the cast of the new family comedy K.C. Undercover. In the series, set to premiere in early 2015, she stars as K.C. Cooper, a high school student training to follow in her parents’ footsteps as an undercover spy. K.C. Undercover is set to air in 2015. Each episode of K.C. Undercover will center on the Cooper family as they contend with everyday familial issues while also performing missions to save the country.